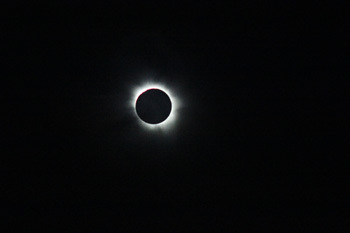 After a thrilling partial fase, the big moment we were all waiting for approached... totality. 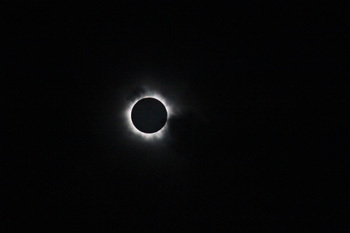 For two minutes we could all enjoy the beautiful corona. 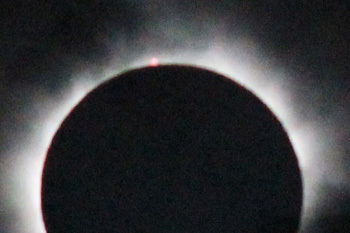 During totality, the eruptions at the sun's edge were also visible.